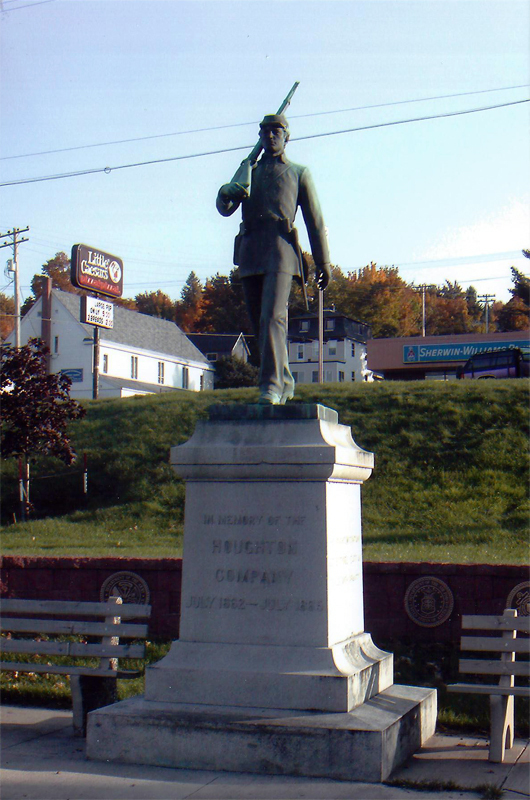 The sculptor of the 8 foot copper statue of a Civil War soldier was Frederick Cleveland Hibbard, who lived from 1881 to 1950. He did the Mark Twain, Tom Sawyer and Huck Finn statues in Hannibal, Mo., the equestrian statue of U.S. Grant, at Vicksburg and at least 50 others. Graham Pope was a captain in Company I, Twenty-Third Michigan Volunteer Inf., later became the owner of the oldest and most profitable mercantile business in Houghton. 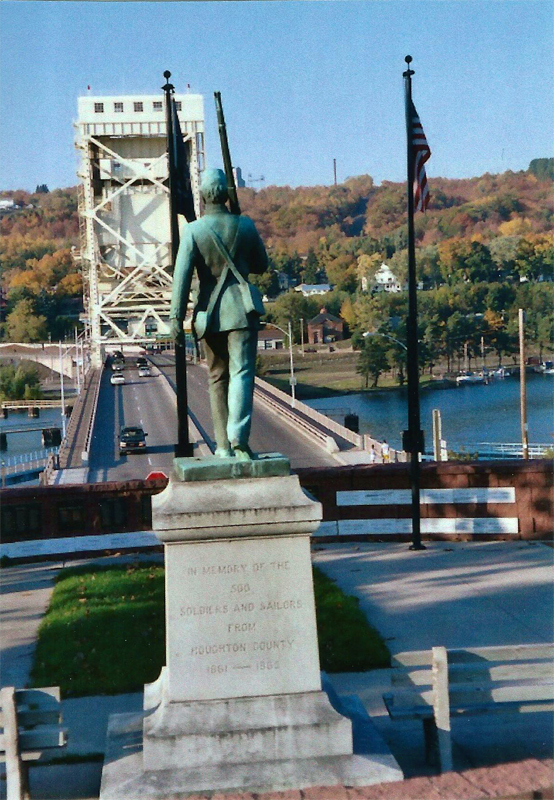 The present day veterans of Houghton County wish to salute and perpetuate his remarkable life, for he single-handedly paid over $5,000 to have the Civil War Statue erected on Pearl Street, on Memorial Day 1912. He died within two months. 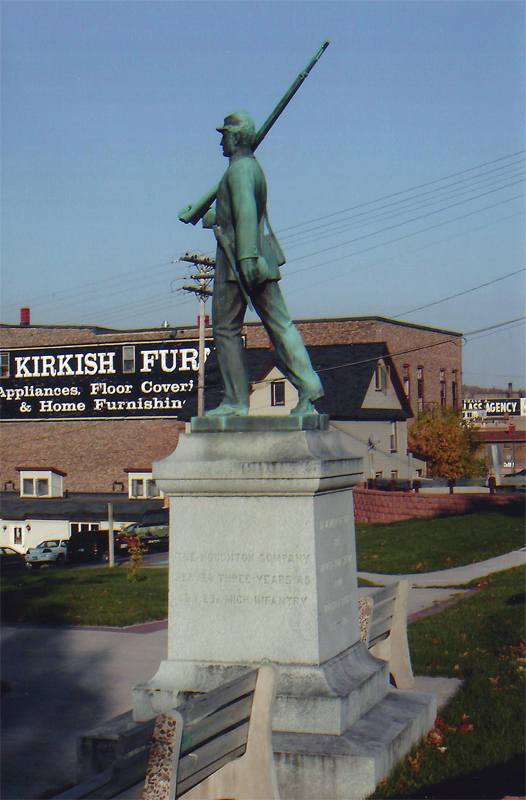 The statue was later moved to the north side of College Avenue. 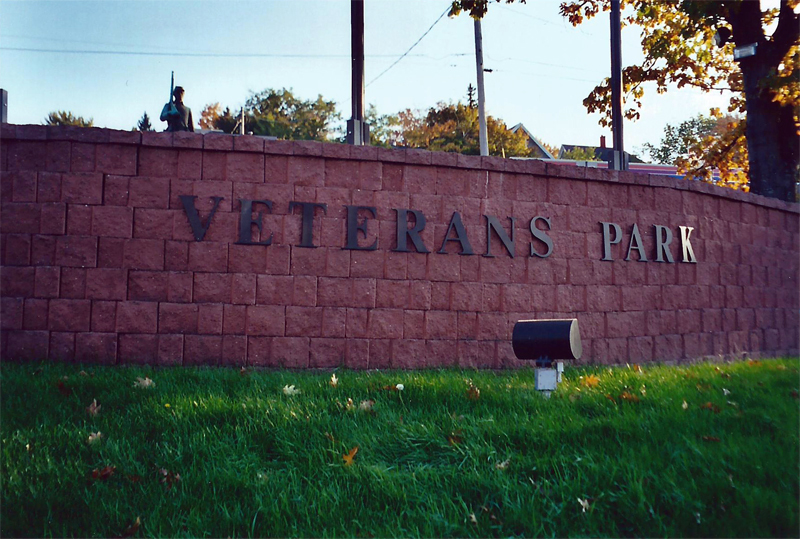 There it remained for many years, then was moved to it's present site overlooking Veterans Park. 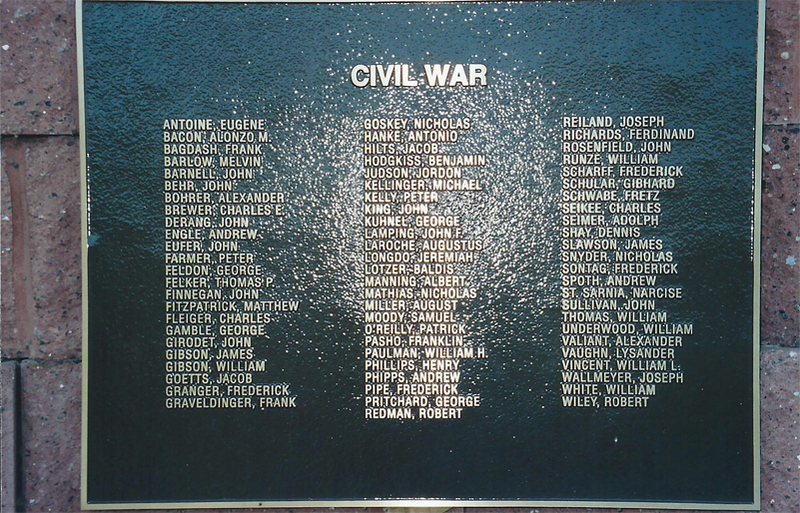 The citizens of Houghton County recognize him for the outstanding contribution he made to the Civil War.